The most obvious characteristic and advantage that you get to gain from using foam wrap is the fact that the lightweight feature of the wrap can actually work for you. Due to the fact that this product is light, it is able to provide you with the required amount of protection without doing anything to compromise on the weight of the entire package. Also, even though foam wrap is quite soft, it still measures up pretty nicely in the strength department. This makes it the perfect shock absorber and as such, it will have no issues with dealing with immense amounts of pressure. 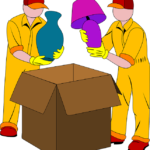 Also, when you are shipping your items, it is usually recommended that you make use of the strongest materials in order to ensure that your cargo is protected from all sorts of damage. This is why a lot of professionals will actually recommend that you make use of foam wraps. Bubble wrap is another popular choice, and while that might definitely also be a viable and effective, you should know that foam wrap is much stronger. Bubble wrap can pop under immense pressure, but foam will be able to stay just right. Another characteristic of foam wrap is the fact that it is usually water resistant. It is able to protect your stuff from the effects of moisture, so you can rest assured of is the ability to protect your electronics, perishables, etc. Essentially, as long as your goods don’t end up sinking into the sea, they will be effectively protected from water thanks to foam wrap. Also, packing foam and foam wrap can be effectively modeled in order to properly get a snug fit on your items. It will be able to effectively compact your package, regardless of its size. Its ability to cover every nook of your object means it can provide optimum protection as well. It is better for you to use foam wrap for items in your package that have delicate shapes and corners. Your stuff will also be protected from attacks against pests like vermin, thanks to the foam wrap. Foam wrap will definitely be an asset to you, regardless of what it is that you are packaging.